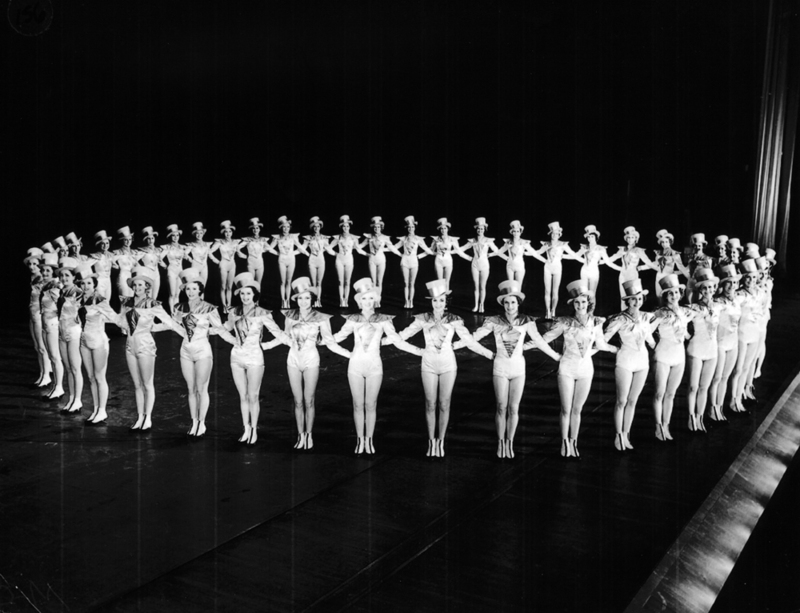 In 1925 Russell Markert formed the “Missouri Rockets,” a 16-member dance line that performed before feature films at the Missouri Theater on Grand Avenue. Seven years later the group’s performance at the opening night of Radio City Music Hall led to a permanent engagement and a name change to the Rockettes. Known for their eye-high kicks, uniformly glamorous appearance and the absolute precision of their routines, onstage the 36 Rockettes appear to move as one dancer. An icon of Americana, the Rockettes’ performances have included the 1937 Paris Exposition, the USO in World War ii, the 1988 Super Bowl and the 2001 Presidential inauguration.